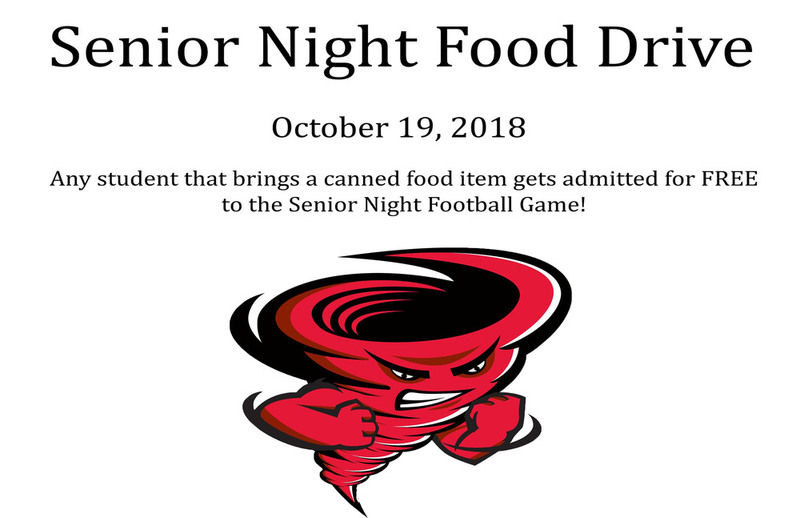 Students will be admitted free to the Senior Night Football game Friday October 19, 2018 with the donation of a canned food item to help support our Cyclone Supply Station. Students are encouraged to bring a canned meal item or canned meat item, as those are the items that are needed the most. Food bags are sent home every week to students who are living with food insecurity. RHS students and faculty help maintain the Cyclone Supply Station and your admittance donations and any extra you are able to bring will go straight to helping our students attain their high school diplomas. Any and all food items are accepted and greatly appreciated.